Geri Waddington trained in painting at the Slade School of Fine Art. She started engraving in 1995, and was elected a member of the Society of Wood Engravers in 2001, and its Chairman in 2014. 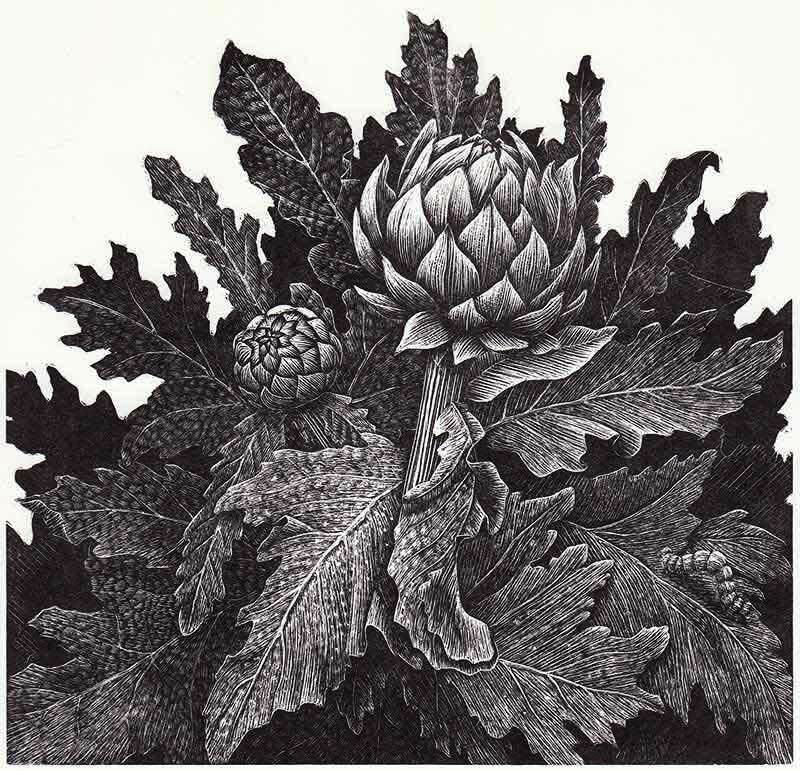 She has exhibited regularly with the Society of Wood Engravers, the National Print Exhibition (later named ‘Originals’), (prizewinner 1999 and 2005), The International Miniature Print Exhibition, and at the Royal Academy and numerous independent galleries. She makes and sells independent prints and also illustrates hand-made private press books, where her engravings are printed directly from the wood, and has work in collections in the UK and abroad. Wood engraving is one the simplest and yet most intense forms of printmaking; an image is produced by engraving into the polished endgrain surface of a block of wood (traditionally boxwood), with a variety of tools, which can produce a wide vocabulary of marks. The block is then inked with a roller and printed onto paper, where the cut marks appear as white. .